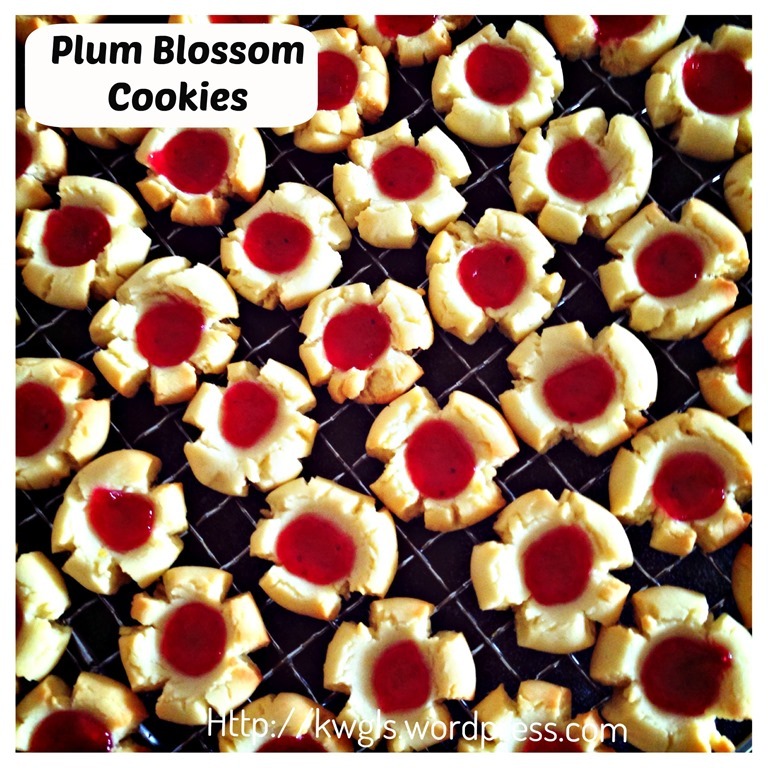 First of all, I have to say that it is intentional to have the cookie cracked because I want the cracked cookies to resemble the petals in a plum blossom. Because of this, I have to make my dough slightly harder such that when the dough was pressed, it will be cracked into this shape. If you want to have a nice shape like the traditional thumb print cookie, you can adjust the butter quantity by another 20-30 grams and reduce the cream cheese by the same quantity. 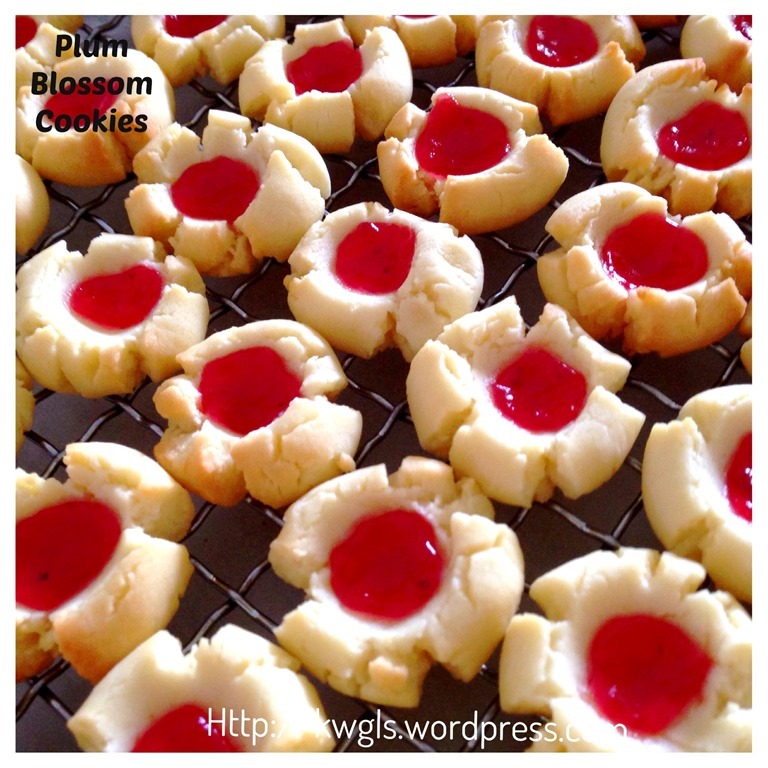 In this way, your dough will be greasier and moister, it will be a round shape and not cracked like flower petals. 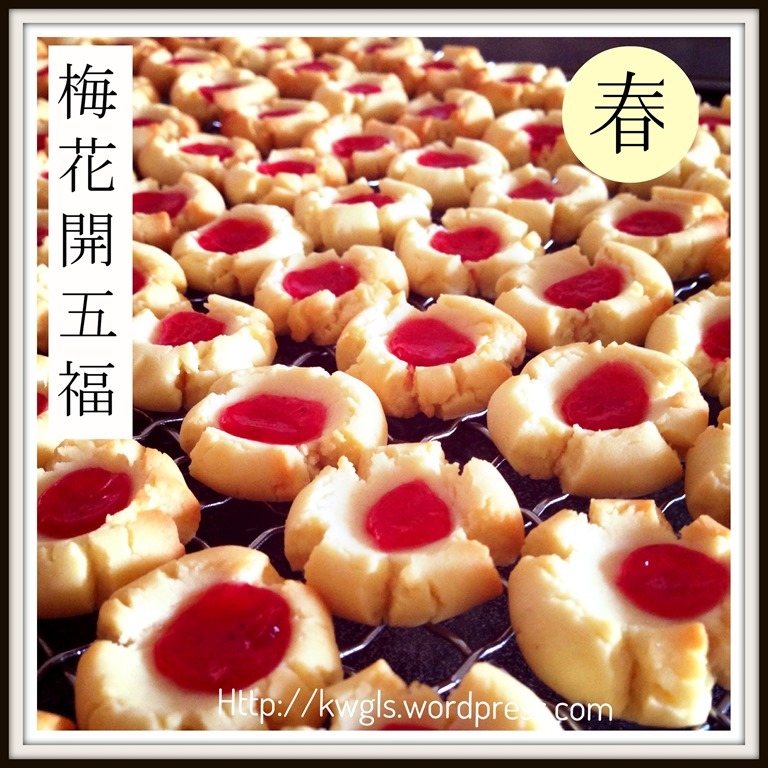 During the Chinese New Year, Chinese like to have auspicious cuisines including cookies. 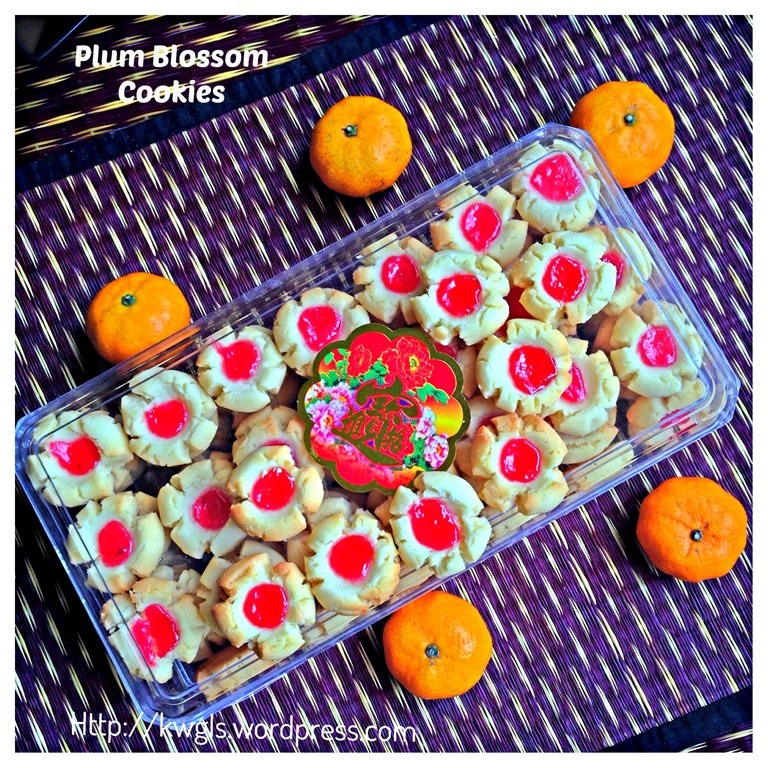 They will give their cuisines (both savoury dishes or sweet cookies ) some special names or special looks just specifically for the festive seasons. 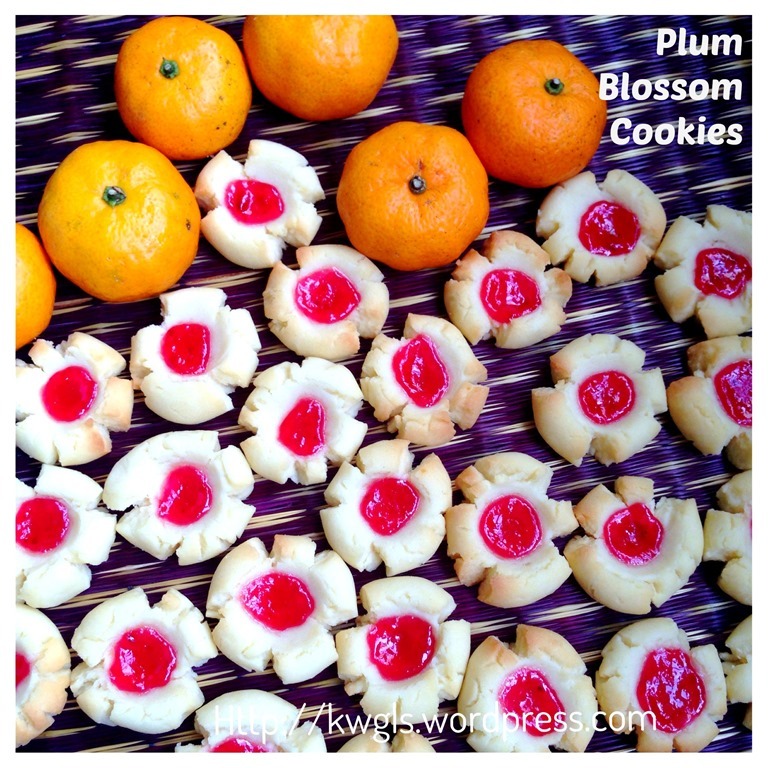 Most cookies will have names that linked to prosperity, joy, happiness and other positive greeting words. 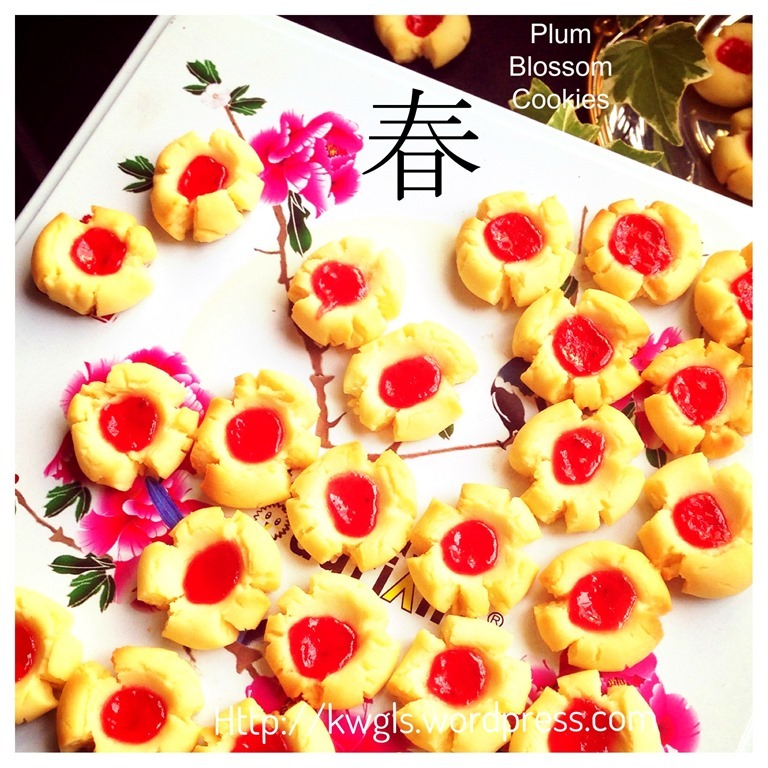 Though this cookie is a traditional thumb print cookie, however, because of Chinese New Year, I will love to have my cookie look like a plum blossom (梅花）。 Plum blossom is a flower that thrives well in the cold weather and when it blossoms, it signifies that springs have arrived and time to celebrate Chinese New Year (Spring Festival). To Chinese, it also signifies hopes and the abilities to endure hardship. If you wish, you can read a bit more about this flower in one of my older post – National Flower Series–East Asia 5–Taiwan Republic of China– Prunus Mume. Preparation is definitely not difficult but a bit laborious. 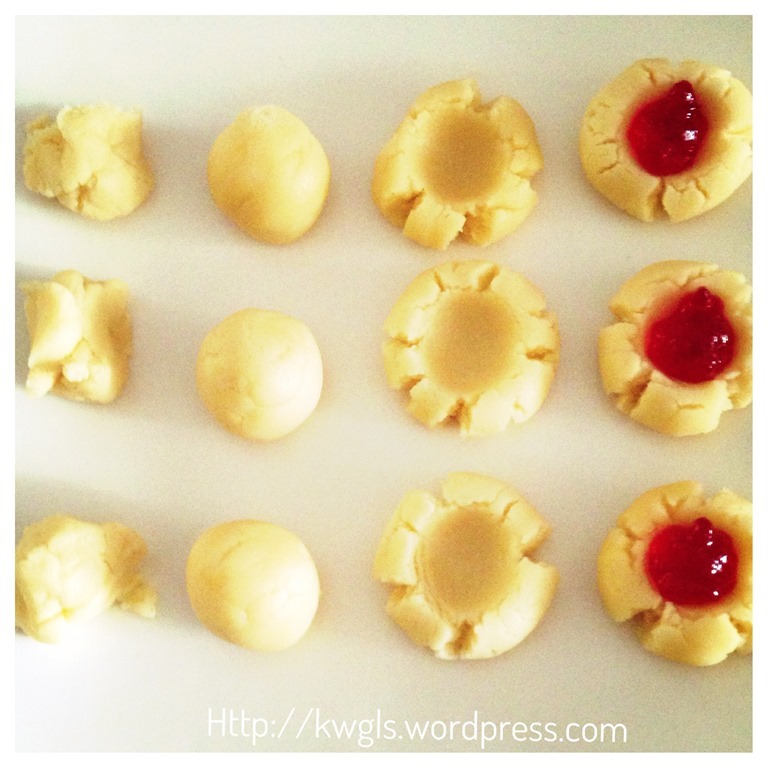 If you have the patience, it will definitely be a good cookie that can impress your guest. 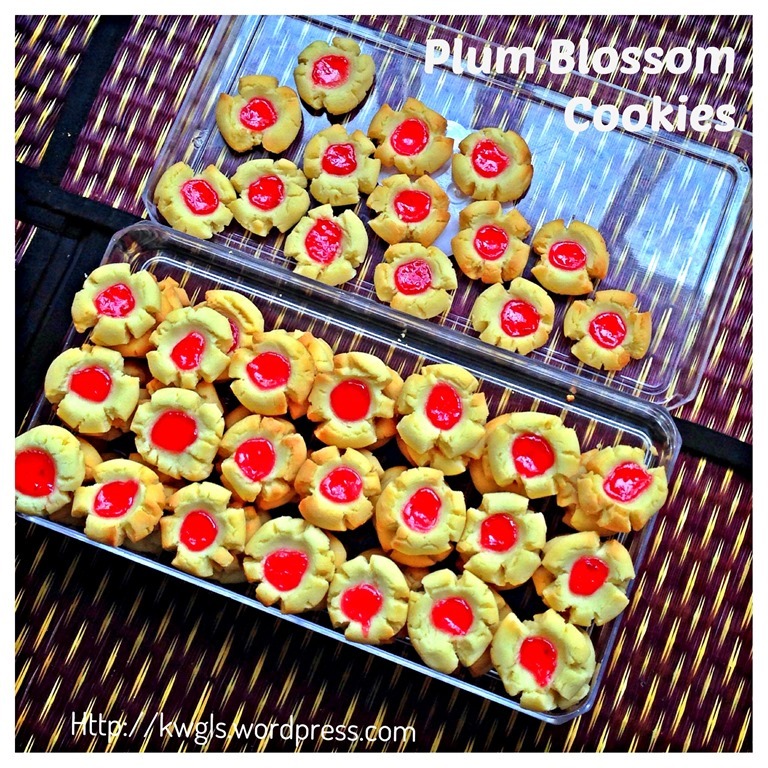 The inclusion of cream cheese make it creamier but will not be as crispy as compare to pure butter cookies. 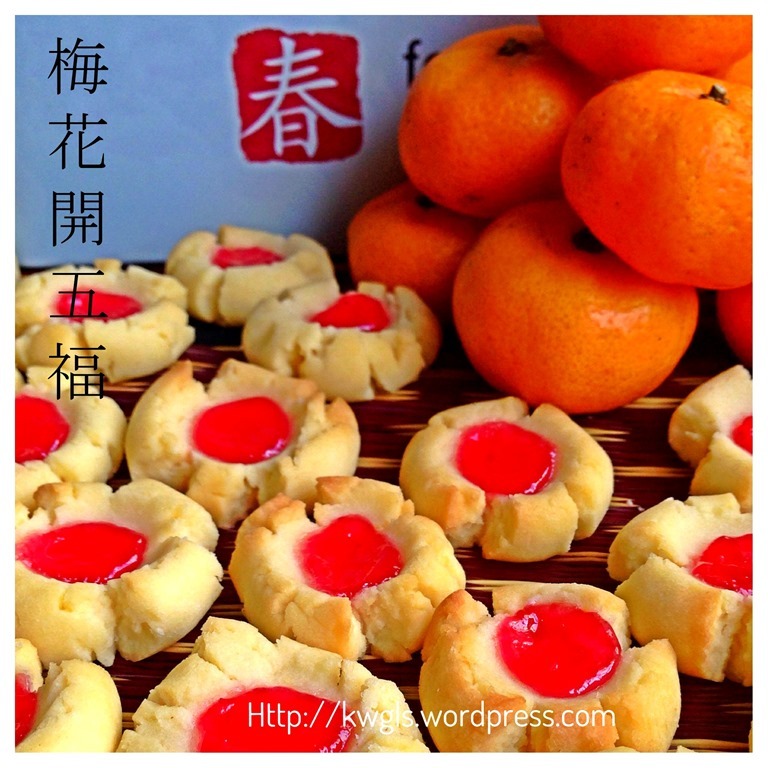 Response from relatives and friends are positive, a nice cookie and we have finished all the cookies even before I issued this post, which is rather unusual. 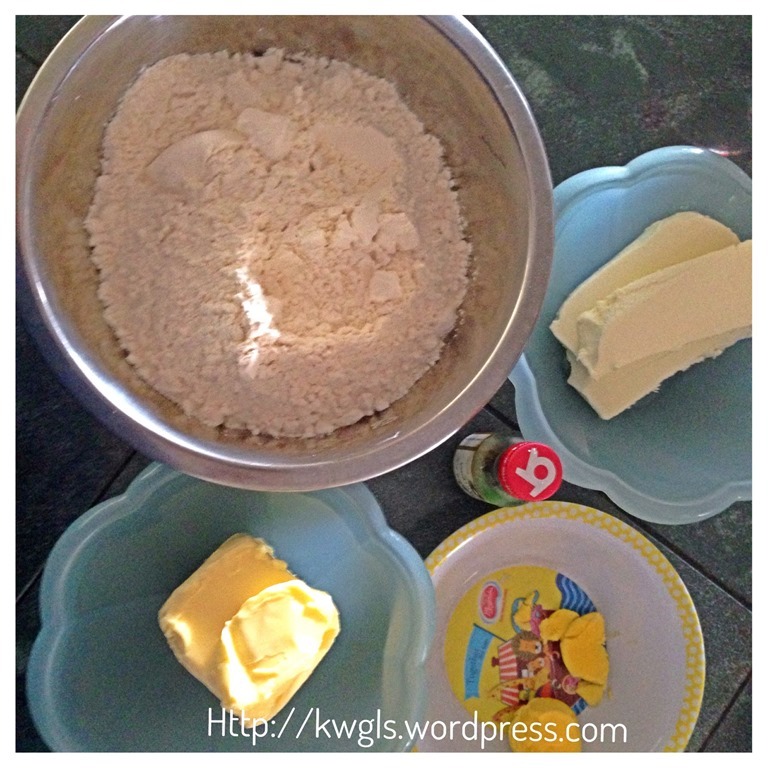 Cream the butter, cream cheese and sugar until light and fluffy. Sift in the hard boiled egg yolk. Stir until well mixed. Sift in the plain flour and use the slowest speed to stir until well mix. Take the dough out and lightly knead until well mixed. 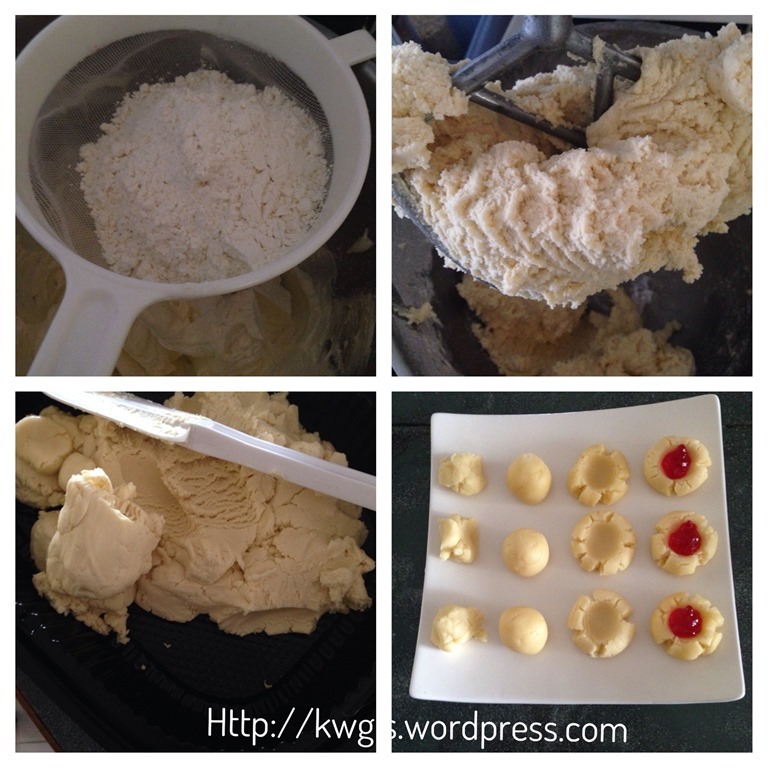 Take some dough (about 10 grams each) and shape it into a ball. Use the end of the wooden ladle to make a cavity on the ball (vertically from top). 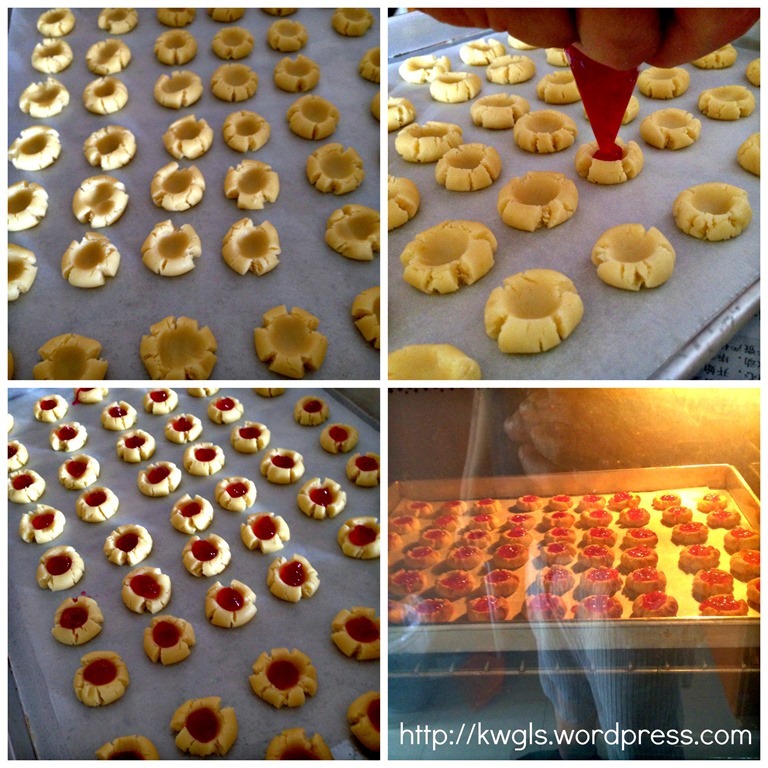 Put the strawberry jam into a piping bag and pipe the jam on the cavity. Bake in the oven at 175 degree Celsius for 10-12 minutes. 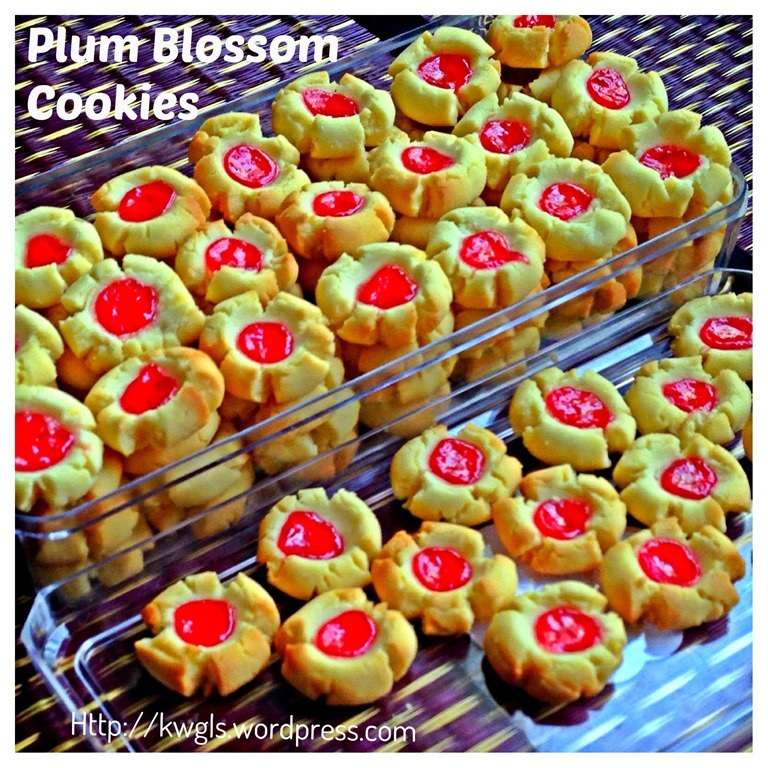 I like this cookie because of the shape and colour that resembles a beautiful flower. 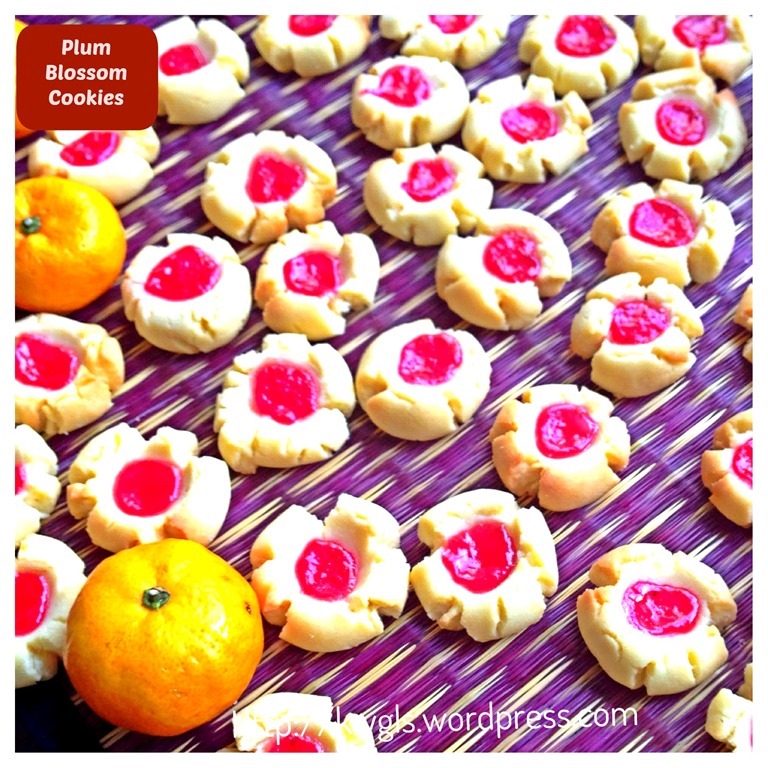 I am sure it will stand out in a tray of golden looking cookies during Chinese New Year. The taste of the cookie is definitely delicious. 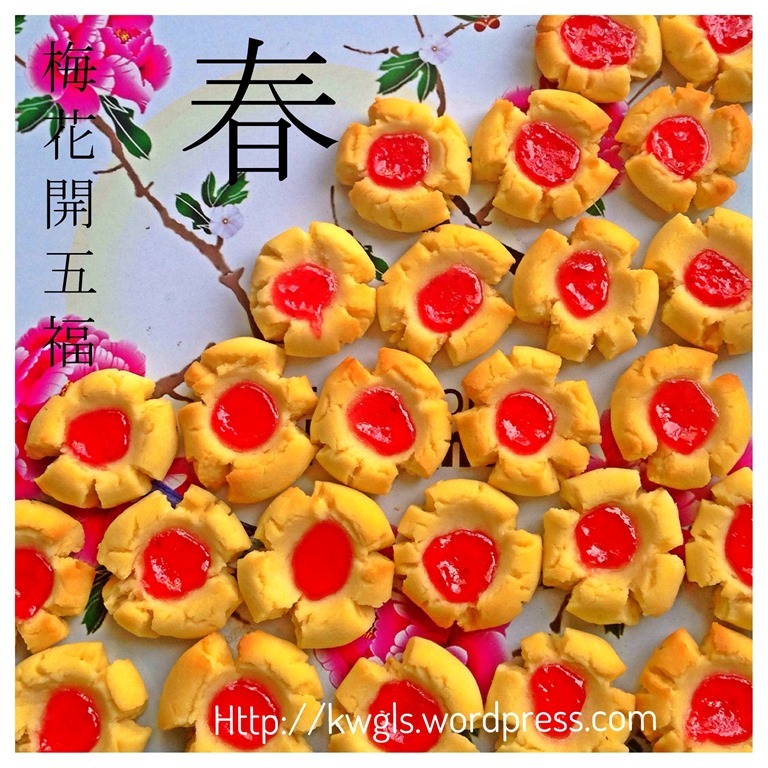 As it is rather easy, I will encourage reader to try preparing this traditional cookie for the coming Chinese New Year. For your convenience, this recipe has been included in the E-book Page 37-38 (Easy Chinese New Year Recipes – A step by Step Guide). The e-book was packed with 30 Chinese New Year recipes and you can get hold of a copy of the E-book HERE or by clicking on the picture below. 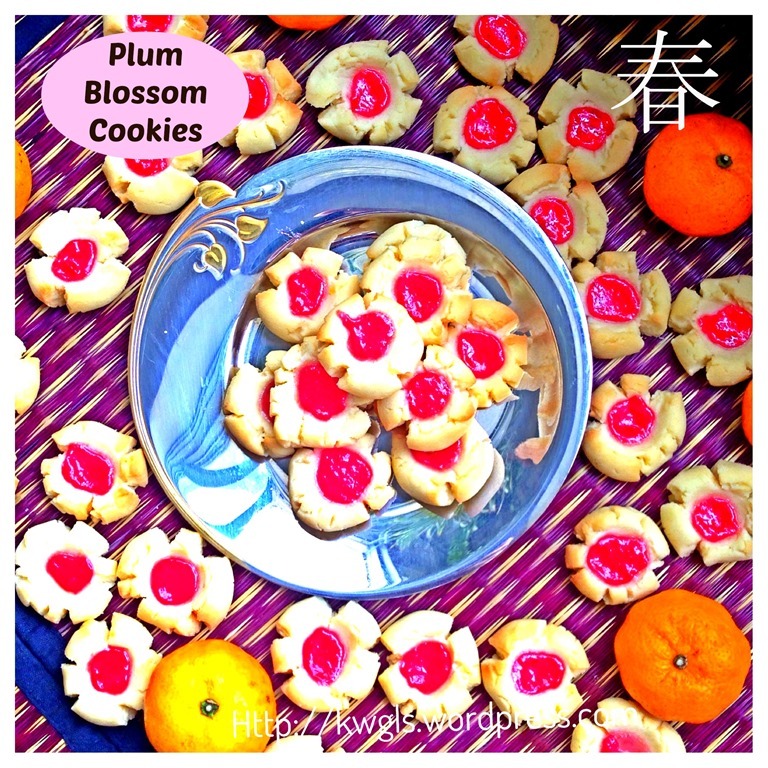 This entry was posted in Cakes and cookies, Chinese New Year 2014, Food Preparation Series and tagged Chinese New Year Cookies, cream cheese thumb print cookies, GUAI SHU SHU, Guaishushu, kenneth goh, plum blossom cookies, postaday, 梅花饼. Bookmark the permalink. These are so pretty! I love how many new foods your blog introduces me to! So, so pretty! Thanks very much for joining in with #recipeoftheweek. I’ve Pinned and tweeted this post. I have already converted into the approximate cups equivalent in the recipe. In my humble opinion, it provides a sandy, tender and delicate crumb texture because cream cheese are used. 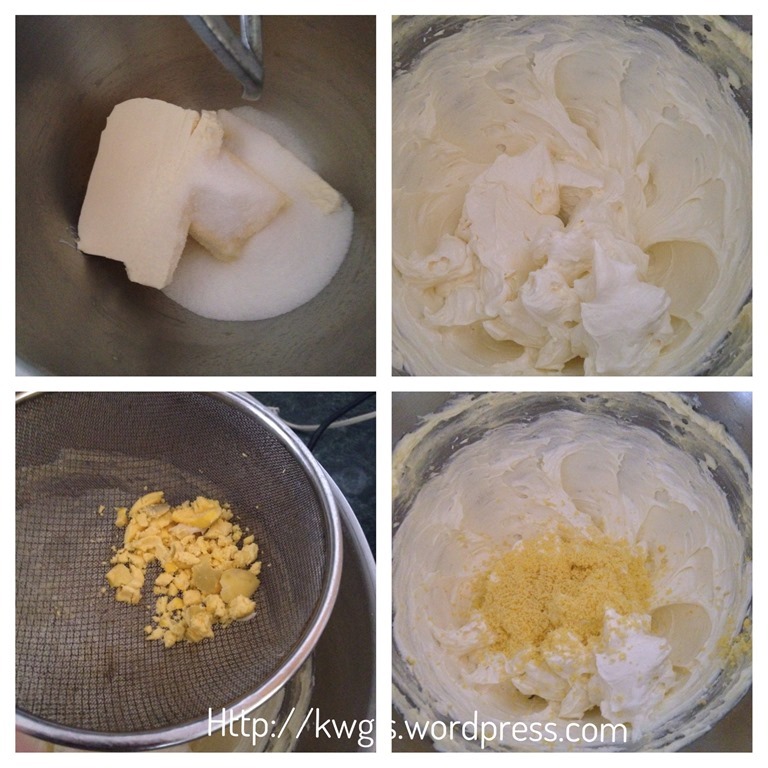 Hard boiled egg yolk helps to loosen the dough. There are some cookies that use this.